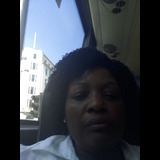 I AM 55 YEARS OLD WITH OVER 20 YEARS EXPERIENCE WORKING AS A CARE ASSISITANT IN THE HEALTHCARE INDUSTRY. IN THE LAST 6 YEARS, I HAVE WORKED SPECIALLY AS ALIVE-IN CARER. I HAVE SUPPORTED THE ELDERLY TO REMAIN IN THEIR OWN HOMES, IN PREFERENCE TO MOVING INTO INSTITUTIONAL SETTINGS. I AM PATIENT AND EMPATHETIC TO THE NEEDS OF THOSE THAT I CARE FOR. I ENDEAVOUR TO PROVIDE A PERSON CENTRED APPROACH SERVICE, AS I AM AWARE THAT EVERY CLIENT' S NEED ARE SPECIFIC TO THEM. I AM EDUCATED TO DEGREE LEVEL AND HAVE AN 'NVQ2' QUALIFICATON IN SOCIAL CARE, FLUENT IN ENGLISH, BOTH SPOKEN AND WRITTEN. I AM AN ORGANISED CONFIDENT LONE WORKER WITH GREAT COMMUNICATION & MANAGEMENT SKILLS, LOTS OF COMMON SENSE AND INITIATIVE. HOWEVER, I AM WILLING TO LEARN THROUGH OTHERS OR COURSES RELEVANT FOR SELF DEVELOPMENT. I AM DBS CHECKED (SUBSCRIBED TO THE UPDATE SERVICE), HOLD A BRITISH DRIVING LICENCE AND HAVE PUBLIC LIABILITY INSURANCE. i WILL PROVIDE REFERENCES FROM PREVIOUS EMPLOYERS ON REQUEST.